Last weekend I attended my first hackathon! 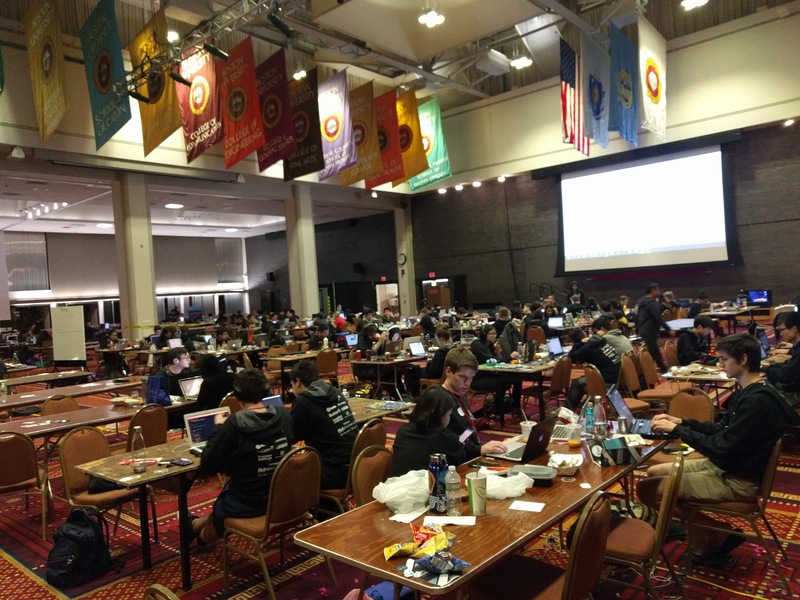 It was BostonHacks hosted by my alma mater Boston University. I’m still dizzy from how intense it was (and how little sleep I had! ), but here’s the rundown on how it went. 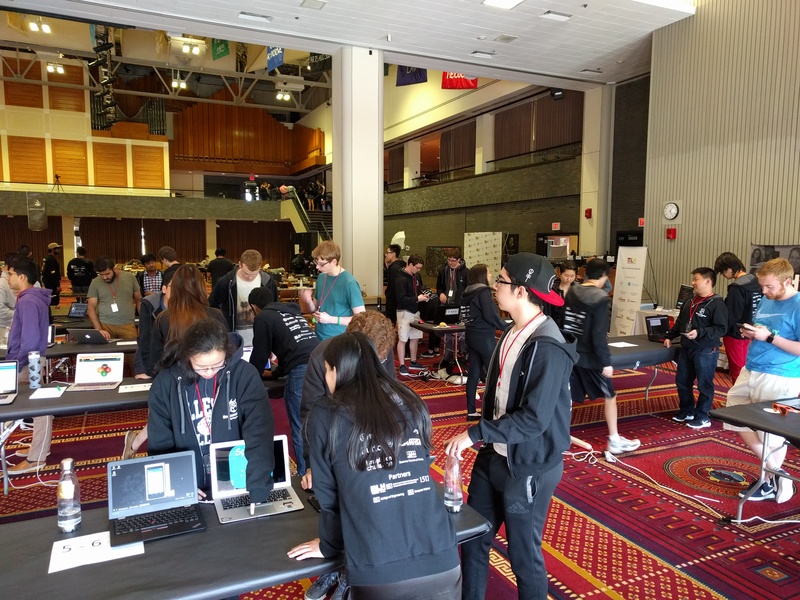 I arrived at 10 AM on Saturday and registered, receiving a bunch of neat stickers and assorted swag, including a black hoody and a water bottle. For the first hour of so, I waled around to the handful of sponsors and talked with them about their products. With another hour before the event began, I decided it would be a good idea to start making some friends. I approached some people who also seemed to be by themselves and asked them if they were. Eventually, I got four other people to join me at a table and talk about the event. 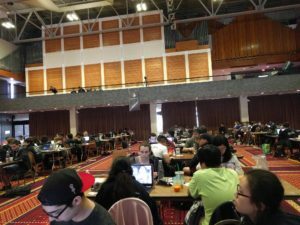 We had two mid-level undergrads, two freshman and myself in our “team.” I took the liberty of introducing the two freshman to Git so that they could understand how we would share our code. Eventually, the event started, with an opening ceremony where the sponsors talked about the kind of projects they were looking into. As soon as they finished, we made a mad dash for the lunch line (there were about 100 people attending the event!). We sat down quickly, grabbed one of the available whiteboardsand started hammering throwing out ideas. We came up with some interesting stuff, but eventually decided to do “Twitter for blind people”, which I gave the code name Twinty. The idea was pretty simple. 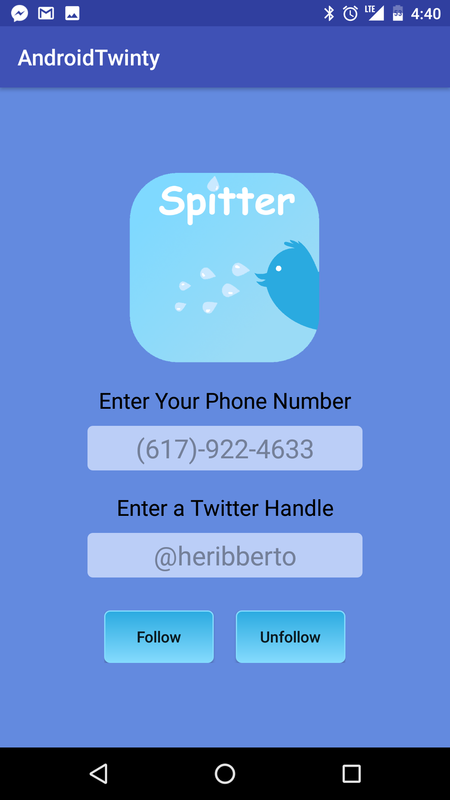 Using this service, you would subscribe via text message to someone’s twitter feed, and whenever they tweeted you would get a phone call where the tweet would be read outto you. 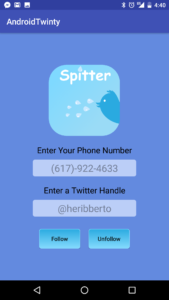 We decided to use a cool API called Twilio to handle the texting and calling. It also included a text to voice feature that we were able to take advantage of. I got the API code working correctly while a teammate got the twitter handling done. Another teammate worked on a feature to have the voice change based on emotional ques picked up in the text of the tweet (i.e. word choice and punctuation usage). I set up an AWS EC2 instance to host the service on, and we had to use an S3 bucket to store the tweets for Twilio to access. The judging was us standing at a table for an hour while judges walked around and asked us what we did. We demoed it and a lot of them were impressed, but in the end we didn’t win any prizes. However, the prizes really weren’t why I went. I went to work on a team, contribute and make something. The satisfaction of finishing 24 hours of coding and being able to point at something and say “I made this!” is far greater than any prize I could have received. I had so much fun. I really really loved the entire process. Sitting with teammates, discussing strategies, comparing code, seeing things work and struggling through when they failed. I really really want to do it again. I’m glad I went and I highly recommend it to anyone interested in programming just because of how crazy an experience it is.